Anomaly Vineyards is a winery located at the base of the Mayacamas Mountains in California's Napa Valley in the small historic town of St. Helena, California. The winery is owned by Steve & Linda Goldfarb. The wine at Anomaly Vineyards is produced by Mark Porembski. Anomaly specializes in the production of the highest-quality Cabernet Sauvignon. The first vintage of Anomaly was harvested in 1997 and made by us, "budding garagists." Buoyed by the praise of our 1997 vintage (mostly by our friends! ), we embarked on the journey of obtaining a permit to produce Cabernet Sauvignon by building a small winery adjacent to our small vineyard. And what a "journey" it was! In the fall of 2000, a hard-fought battle with the City was won, and we secured a permit to build a stone winery replete with a 2,000 square foot underground cave. Construction commenced in Spring 2001 and was completed in time for harvest in 2002. Anomaly WineryOur first release consisted of 300 cases and sold out immediately. As the vineyards matured, the increased availability of grapes allowed us to gradually produce more wine. Of course, weather conditions played a large factor in the amount of fruit the vines produced. Hence, our current release (the 2007 vintage) is 886 cases. There are days we forget, but truth be told, we are all farmers and at the mercy of Mother Nature. Anomaly Vineyards produces the following wine varietals: Cabernet Franc, Cabernet Sauvignon and Petite Verdot. 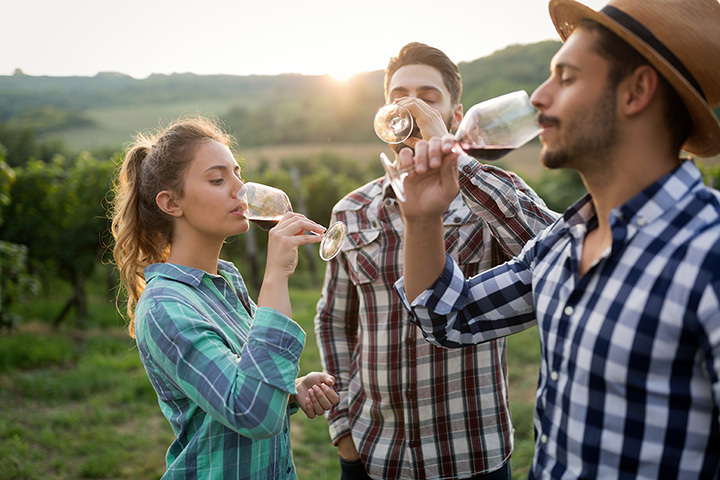 The price of wine tasting is a fee waived with purchase.